Top quality hand tied rope halter made from high quality halter cord. This halter is perfect for training or as a general purpose barn halter. 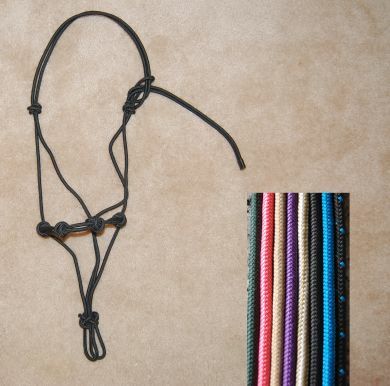 Please note that this is a stiff cord halter, if you need a soft (parelli style) halter, see our other listing.